I've been in a bit of a makeup rut these days... I've been using the same products for years, but lately, I've just been wanting something more. 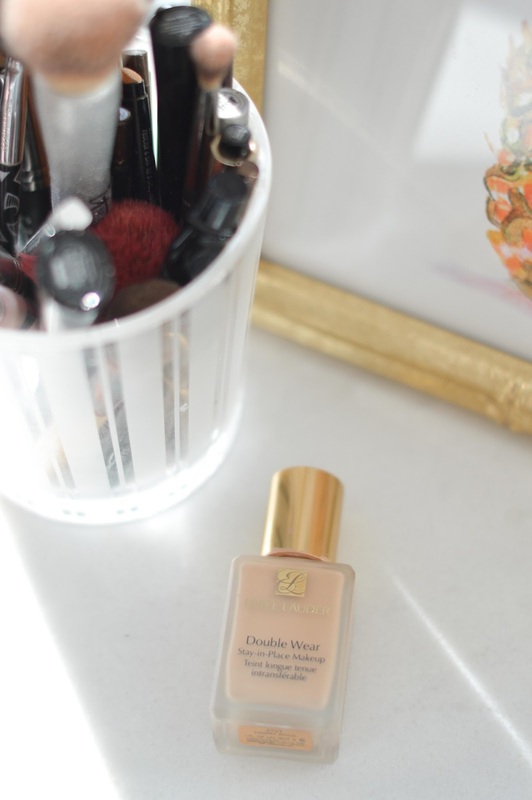 Estee Lauder's DoubleWear has been my go to for what feels like forever, but my skin has seemed dry as of late, so I was wanting something that left more of a dewy finish. Though I love the way my face looks when I wear a good amount of makeup, I want my skin to look as if the makeup is barely there, if that makes sense. There were a few strike-outs, but I came across Too Faced's Born This Way and liked it enough to try it out for a few weeks. I've rotated through both of them, combined them, mixed them with other products that I have in my makeup bag, and more. I also used the same brush with each so I could truly tell what I liked best. After a month's use of my newest product and years of experience with the other, I can definitely say that I've noticed pros and cons from both. 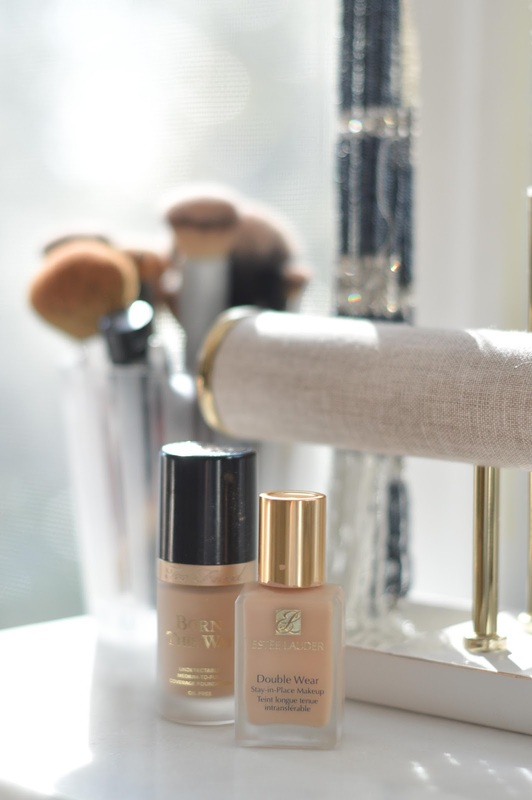 It was a tough one, but long-lasting coverage is a huge factor for me when choosing makeup. 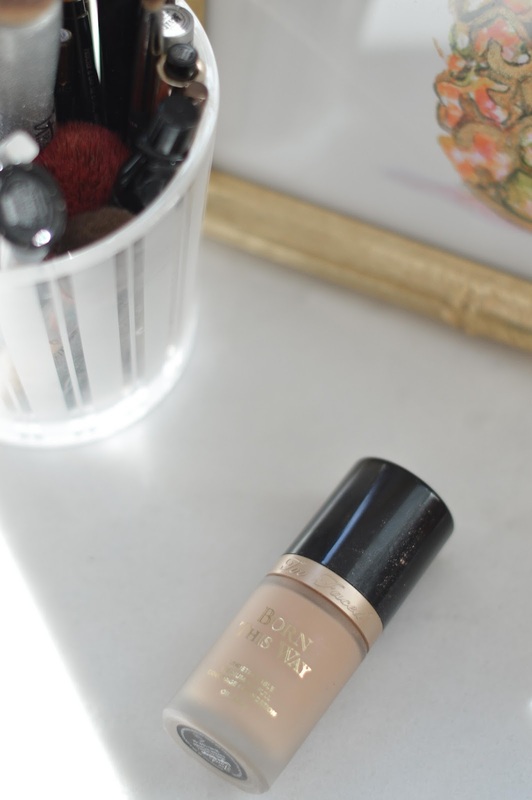 I absolutely love the finish that Born This Way offers, but I found that by the end of a day at the store, it just doesn't have the staying power that DoubleWear has. I tried layering on more, but I don't love wearing a ton of foundation. 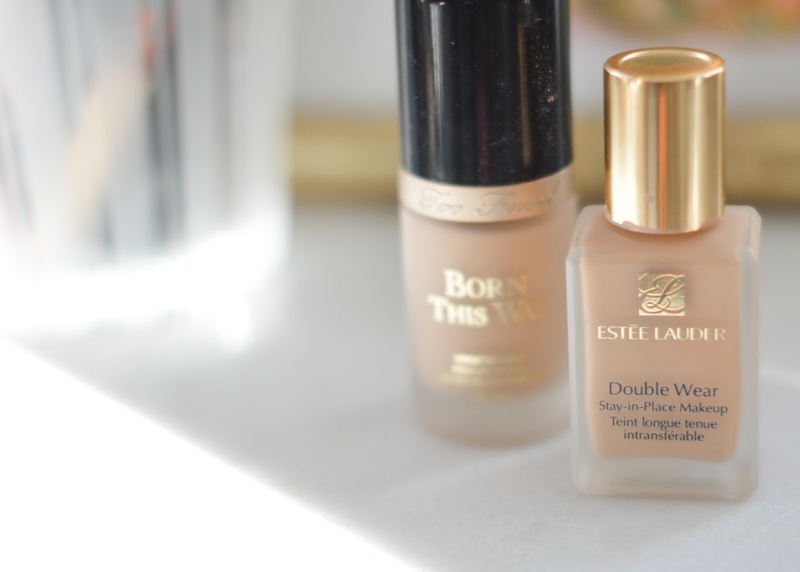 I have actually found myself pouring out a lesser portion of DoubleWear and adding just a touch of the Born This Way which gives off a more dewy look! And adding in a moisturizer or serum helps as well. 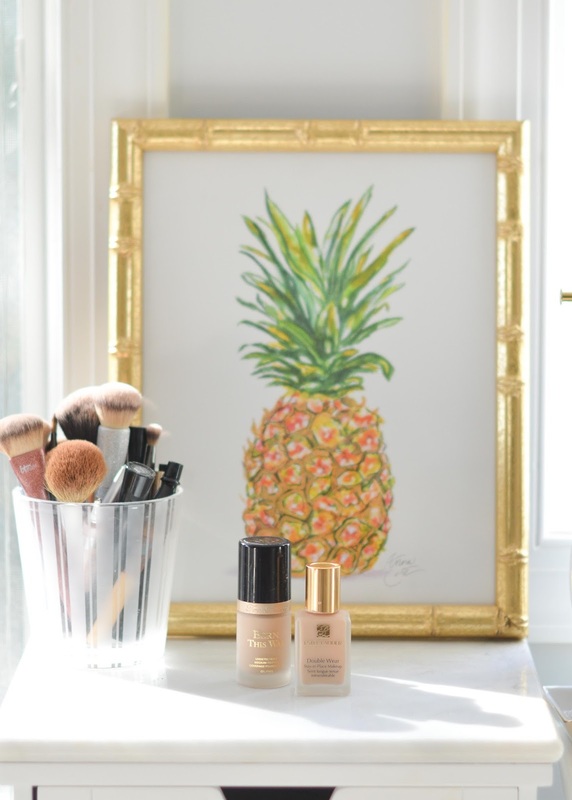 If you love the dewy look, try this product as well! 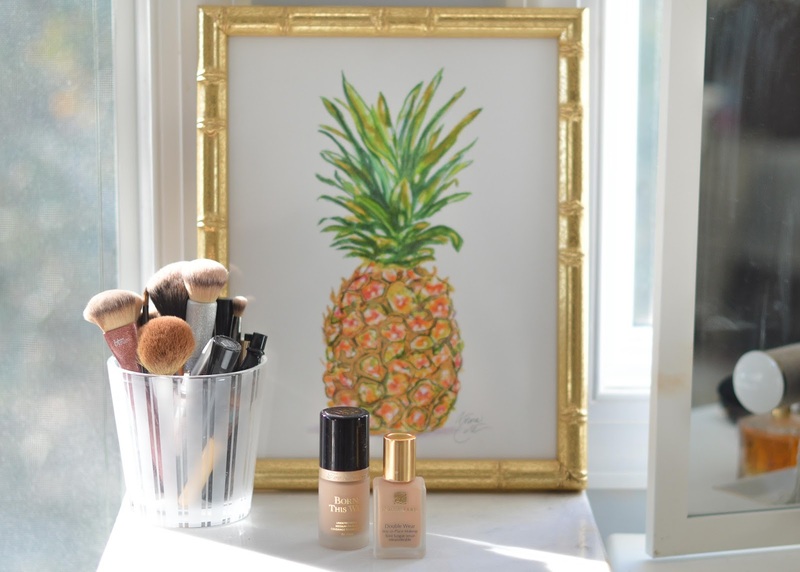 What is your go-to foundation? I'm always open for trying new ones!